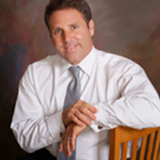 Rick Kurtz is CEO of Resource Dynamics a real estate success training company. RD Training Systems offers you the vision, motivation. The outlook for the global economy might be uncertain, but things could be picking up, especially in the real estate securitization space, the head of investment company Straits Trading said.